A father who saved the life of his infant son with CPR skills urges others to learn basic first aid skills. The father recently finished a first aid workshop which later puts his skill in action. During an unexpected event, his 8-month old son ceases to breath at their home on the Hebridean Island of Mull. 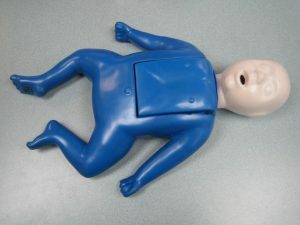 As the child turns blue, Alec Brown calls for an ambulance and performs CPR. After a moment, the child is sick and starts to cry. The father believes that the child is sick due to a viral infection. As a member of the Tobermory RNLI’s lifeboat crew, Mr. Brown shares that he never expected this to happen. He decided to enroll in a first aid and CPR course since he has a young family and living on an island in which medical care can be delayed. He made the right choice to undergo training in first aid and CPR course. Once the child stops breathing, Mr. Brown went into an autopilot mode and quickly recalled what he had to do. He checked the child if he was choking and the airway before delivering CPR. In no time the child started to breathe again. Learning the basics on first aid and CPR is essential. The ambulance arrived on the scene after 20 minutes. If the father did not undergo training, the ending would be a different one. After the incident, the infant was airlifted to the Royal Hospital for Children in Glasgow. The child was confined for 3 days where doctors conclude that the episode might be due to a viral infection. Mr. Brown urges other people to learn first aid and CPR skills. These emergency skills even the basic ones can greatly help during unforeseen emergencies. Being knowledgeable about these skills means a difference between life and death. Learning the basics on first aid and CPR is essential. You never know when emergencies occur and it is best that you are prepared on what to do. When life is on the line, even basic first aid skills increases the chances of survival. With this in mind, first aid and CPR courses should be included in your to-do list.